Two more women have contacted Channel 4 News with claims of sexual impropriety by Lord Rennard. But the former Lib Dem chief executive strongly denies them. The Liberal Democrats are battling allegations aired by Channel 4 News last night that the party failed to act decisively over a series of complaints about sexual impropriety. They say they are taking the claims extremely seriously and have launched a formal investigation. But since the allegations about the former Lib Dem chief executive were broadcast last night, two more women have contacted Channel 4 News with new claims about his behaviour. Lord Rennard has strongly denied them. On Thursday Channel 4 News broadcast interviews with three women who claimed Lord Rennard had abused his power by propositioning and inappropriately touching them. On Friday morning Lord Rennard announced he would stand aside from the Liberal Democrat group in the Lords, and he quit his position on the federal policy committee, which writes the manifesto. Other women have contacted Channel 4 News since the Thursday broadcast to share what they say happened to them. What is striking about these allegations is that they follow a very similar pattern: a conference or an event, a late night in a bar, and repeated unwanted approaches from Lord Rennard. One woman, who is still very active in the Lib Dems, attended a “future women MPs” weekend to boost the party’s low number of female MPs. She was a parliamentary candidate. 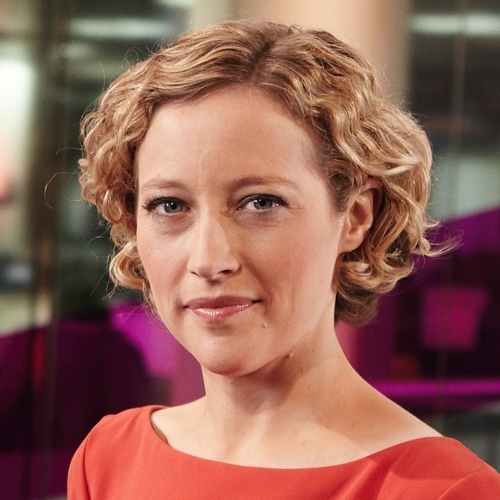 “Gradually his hand started to rub the outside of my leg,” she told Cathy Newman. “I thought at first he’d just brushed against me. Then I moved away and it happened again. And he moved closer – and I moved away again. And he moved closer, and he just kept brushing parts of me that I didn’t want to be brushed. He rubbed my back and said: ‘Why don’t we get a couple more drinks sent up to my room, where we can continue this conversation? “I got to the toilets and took a deep breath, then left it a few minutes and walked out. And there he was, standing there, waiting at the bottom of the stairs for me. The women said that she felt betrayed by Lord Rennard’s behaviour “because this was a man who wields a lot of power”. “We were all staying over at a hotel. After a dinner, we were sat in a bar chatting at a table. “He began moving closer and closer to me, making sure that his knee or leg was touching me. The next day, when I told them what had happened as I left the room, they openly laughed and thought it was hilarious. “At first I thought it must have been accidental, but every time I moved away he moved closer. “Eventually I stood up and said I was going to bed. At that point he announced he was going to bed too. She continued: “Everyone else who was sat at that table, which included senior members of the party, did nothing. They were either giggling or smirking. Liberal Democrat President Tim Farron told Channel 4 News (video above) he became aware of the allegations about Lord Rennard on Wednesday night. He said the Lib Dems’ review group, which he chairs, will be looking into the allegations to ensure there are proper processes to deal with such issues. “No organisation, large or small, should have a position where people within it, whether they’re staff or whether they’re volunteers, are victims of harassment, bullying or something else,” he said. Simon Hughes, deputy leader of the Liberal Democrats, told Cathy Newman that his party “responded as quickly and as effectively as it could, and should” after the allegations on Thursday’s Channel 4 News. These are serious allegations. They need to be dealt with quickly but they need to be dealt with properly. “I absolutely deny any suggestion of improper touching, nor did I invite a woman to join me in my room. “I note that these alleged instances supposedly took place in public bars with other people present. “I am disappointed and angry that anonymous accusations from several years ago are once again being made public in this manner in a clear attempt to damage my reputation.